Jacoby’s started this cute new habit. He gets tired, goes into the bedroom all by himself, burrows under the comforter and goes to sleep. We say he’s “putting himself to bed.” It’s adorable. Firefox has new “Personas” to dress up your browser. 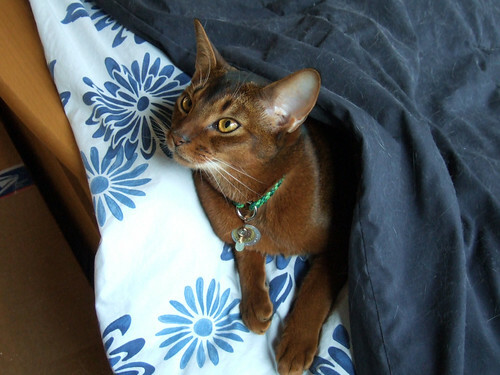 I found an Abyssinian-themed one. This is Samuka, created by Zsofiajudit.